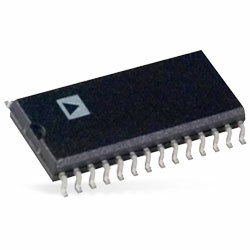 Analog Devices LTC7840 Boost Controllers are dual phase dual output and constant frequency current mode nonsynchronous controller with hiccup mode. The boost controllers operate from 5.5V to 60V input supply voltage range. They can be configured for the SEPIC and flyback topologies. These controllers highlight a precise 1.2V internal reference and include internal 10V LDO with under-voltage lockout protection for its on-chip gate driver. The controllers come in 28-lead thermally enhanced TSSOP package or 28-lead QFN package. Applications include automotive systems, telecom systems, and industrial power supplies.